We developed a relative index of fish biomass and size distribution in ultra-shallow waters (< 2 m) of Barataria Bay, Louisiana, based on the comparison of horizontal hydroacoustic data with gill net and push trawl catches in an effort to understand the role that habitat plays in both fish biomass and distribution. Exclosure net experiments indicated that the contribution of acoustic backscattering from sources other than fishes were negligible. Split-beam transducer, gill net, and push trawl sampling were conducted concurrently in Barataria Bay to provide information on fish composition and length distributions and for comparisons among gear types. Results suggest that acoustic fish biomass was generally higher in the low salinity stations and lower at the high salinity stations, at least in March 2004. We observed a greater mean length of fishes associated with oyster shell habitats when compared to adjacent sand-mud habitats. 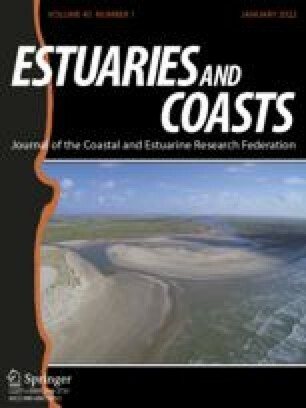 This paper demonstrates the utility of hydroacoustics as a tool to quantify relative acoustic fish biomass and size distribution associated with common estuarine habitats in ultra-shallow waters. This study also illustrates the potential of using acoustics for augmenting traditional sampling procedures.